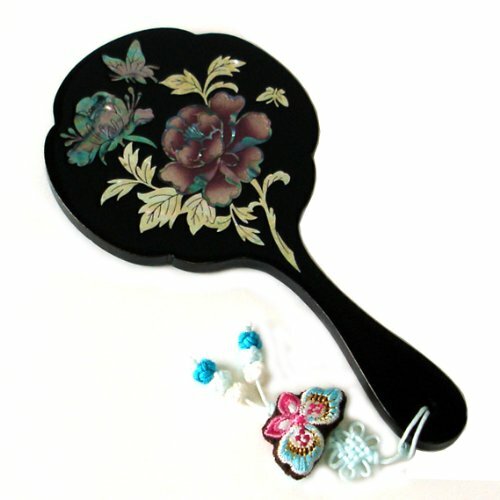 This stylish hand mirror is ornamented with an elegant design of peony flowers. The fully open peony blossom is a symbol of wealth and nobility. The elaborate adornment with the iridescence of mother of pearl designs makes it an impressive item for collection. This hand mirror comes with a nice traditional Korean macrame knots.